"With this application, you know your students much more!" I like the way in which class dojo allows us to have more control over the class allows us to better organize our students and they are very interested in this application. The way in which students show themselves in the form of monsters is good It gives them a special taste and thus making it easier to work and allow us to apply this system that will help us control their behavior on them. It would seem to me that I could improve by giving parents some options to give their ideas such as organizing groups I would like to see how they would like to group their children with whom to be with and with whom not, with this we could see not only the way of thinking of students but also their parents and with this we could see perhaps the reason for the behavior of our students. Little by little it was interesting that this program is being implemented in more educational centers, it is incredible the help that it provides, that is why I recommend it to all the teachers and not only to them but also to all those parents or representatives so that they are aware every time more about the behavior of their children in class. My work is completely related to this application for my profession was created thanks to it we are allowed to understand the way of thinking of some students sometimes they are inhibited in class but by means of chat and in an entertaining way to interact they leave to show their true way of being and we know them much more and that is how we know if there is a problem to be dealt with. The students know what to expect when they walk into class with ClassDojo. They love their little monsters! I use the group maker tool the most. The kids know to look for their table when they walk in to the room. They go straight to the group I want them into for that day. The randomize tool is a great alternative to the Popsicle method I have used in the past. This gives the students a visual. I wish that I could choose students to group together, just like I can choose students to not group together. There are times when I do not want certain students sitting together, but, at the same time, there are times that I need to pair certain students together. I don't know if there is a way to say, "put student A and B in the same group, but not with student C." It would be a good feature for grouping by ability level. Worth every minute of set up time. Students are kept on their toes by this app. They know that ClassDojo will choose their table groups everyday. They know that they may be called upon randomly using the randomize tool. They love that they each have a unique monster for the class. It makes them feel special. Giving feedback and being able to take attendance and walk around the room and still control the app are another great plus. "Excellent product with many useful features"
It is great for keeping parents up-to-date on what is going on, how their student is doing as well as facilitating communication with kids and parents alike. The client is simple and includes just what is relevant to use for the person using it. It is laid out in a predictable, intuite arrangement which provides easy, visual reference for different functions. The updates are arranged in a feed-like scroll we are becoming very familiar with in many ofther applications we use regularly. It is also nice that it saves all the udpates so we can go back and reference when something was sent out. It was great to start receiving notifications. I can also be confident that others I need to messag are currently using this app, and will see messages I send. Not much to dislike. It is pretty intuitive and runs reliably. At first I was almost disappointed that the app was as simple as it is. However, I soon realized that it still provided what I needed, and I wasn't bothered with more than that. It's great for educators and for organization. It suits children and parents well. It is great for providing periodic updates, as well as sending notices on activities or events. In education communication is always a challenge, whether with the kids or parents at home. I feel we have more, regular communication which helps education keep going with students while at home. "Direct communication between the school and the house. " Through class dojo there is a direct connection between teachers, students and representatives; I like to use it to reinforce the knowledge of my students during non-academic hours and to keep the representatives of the students under my tutelage informed about the performance of the children; Because of the hectic nature of the current world, representatives prefer to know the evolution of their represented in this way and thus not have to travel to the educational institution frequently. The disadvantage is that to use this application an internet connection is mandatory. I recommend to anyone who has responsibility for the care or education of children the implementation of this software, because it allows taking education to another level, helping the interaction and constant communication between teachers, parents and students. I consider that it benefits me because it helps me to have a special communication link between myself, the children and the representatives of the students that are served by me, which allows the educational, formative and evaluative process of the children to advance more quickly , because with Class Dojo representatives are an active part in the education of school children. This platform has been an innovation that has allowed me as a teacher to be in constant communication with my students I can create, receive tasks and track them all in a more dynamic and attractive way. In addition this tool has allowed me to have a constant interaction with my students, I do content publications and in seconds and my students can see it, it's great. The teacher and students need to have equipment and an internet connection to access this great tool. It allows to share files, images. It is online, free, compatible with any browser and has no limit of users in the classroom. It is no longer necessary to be in a school space to interact teacher-student, as this platform provides a space for active participation to share, resolve questions and evaluate content. "Turn your classroom into a more dynamic place and get better results from your students"
With this application I have managed to make my classes more entertaining and didactic, thus keeping the attention of my students to the maximum in the class, they can see the progress of the avatar as if it were a game, which keeps them more excited at the time of doing their homework, in their behavior or in answering the questions they are asked, it is an easy application to use and it is also free, very useful for teachers, since it allows you to have a direct contact with parents at school. that you can report reports and notes on the behavior of your children in class, since it is automatically synchronized with mobile devices and allows you to keep an exhaustive control of the attention and participation of children in class. The truth is this software is very complete and adapted to the life of a teacher, but in my opinion it is designed only for students under 12 years, because if you implement it in older children it may seem childish or boring. Another thing that I do not like much is that without the internet we can not use it, and many times in the classroom we lose the connection to the internet and for that reason, we lose access to the application, otherwise ClassDojo is a very useful application in your classroom. To my colleagues I totally recommend this software to have a better performance and dynamism in their classes, it is an excellent incentive for students to do things well, since they are very motivated by the evolution of their avatar, especially if you are a teacher of Children under 12 should start using this application. It has facilitated communication in the whole group of classes, it has maintained my dynamic class and my students with better results in terms of the activities they do, the application has changed the classroom climate, becoming a more collaborative group and more communicative in relation teacher, parent and student.
" Learning through play and active participation"
Lo que más me gusta de Dojo es que podemos competir con el resto de alumnos e ir mejorando el avatar que nos representa a base de responder las preguntas que nos hace el profesor de forma correcta y teniendo una actitud colaborativa con el resto de la clase y compañeros. Lo que no me gusta es el aspecto de los personajes, demasiado infantil. Debería tener mejores imágenes. A veces he tenido problemas de sincronización cuando cambio de dispositivo eléctrico al conectarme a clase, pero finalmente se soluciona. En casos de clases con alumnos mayores de edad no ocurre, pero con menores de edad la aplicación conecta con los padres y desvela información privada a ellos que puede traer consecuencias en casa. Class Dojo te anima a hacer las cosas bien en el aula para ir progresando a tu avatar al mismo tiempo que progresas en el aprendizaje tu como estudiante. ClassDojo nos anima a estudiar, lo hace más divertido, mejora las comunicaciones con el profesor y tenemos de forma centralizada un espacio en el que poder compartir algunos recursos. La competencia generada contra otros alumnos es sana y divertida. "ClassDojo para profes, padres y alumnos." Lo mejor es que por fin tengo organizadas mis clases de una manera divertida para los estudiantes, que nos permite estar en constante comunicación en tiempo real con los padres, siempre que tengan acceso a la red y un dispositivo electrónico, claro esta. Los alumnos pueden ver el progreso de su avatar que como si de la playstation se tratara, progresará en sus atributos si ellos estudian, hacen la tarea, se portran bien en clase y responden las cuestiones del profesor. Esto crea un clima en clase de interés por la asignatura con el fin de mejorar al avatar. Para los padres esta muy bien, porque si algún estudiante falta a clase ese día, se le avisará al padre, madre o tutor al instante. También cuenta con un apartado de mensajeria instantánea para que tanto padres como alumnos pregunten al profesor directamente. La interfaz es muy intuitiva y es muy fácil crear las clases en pocos click, así como realizar su mantenimiento en el día a día. Tiene coste 0 de impllantación y uso. Podemos mandar fotos a los padres de las actividades que tienen que realizar en casa. Necesita conexión a internet. Si algún dia, por lo que sea no puedes tenerla, no podrás guardar la evolución. Algunos padres se han quejado de que ahora se sienten esclavos del móvil, para tener más controlados a sus hijos, pero yo eso no lo veo un problema realmente de la aplicación. Los chicos se quejan de que ahora se sienten más controlados. Hay que intentar de hacer verles que la aplicación está para divertirse aprendiendo y no para agobiarlos. Con alumnos a partir de dieciséis años puede parecer algo simple y ridículo el sistema de avatares. Necesitarás el cañon de luz. Si no lo tienes en tu aula, no puiedes usar esta aplicación. Es imprescindible que los chicos vean sus avances. Experimenta unos días con tus estudiantes de una clase, antes de implementar el sistema de golpe en todos tus cursos, si ves que funciona, adelante. Nos ha facilitado la comunicación con padres y alumnos, a la m,ayoría de los alumnos les está encantando, así que de momento solo hemos visto progresos con la organización y clima del aula. - Obtener un reporte académico de forma individualizada por cada uno de nuestros alumnos. - Fomentar la participación de los alumnos en clase con un sistema de puntos semejante al de los videojuegos de rol, con lo que fomentamos su interés por la asignatura e incetivamos el desarrollo de su personaje virtual en base al aprendizaje de la asignatura. Siempre haciendo destacar el compañerismo por encima de la competitivad entre alumnos. -COntrolar la asistencia de los estudiantes a clase e informar a los padres de sus ausencias. - Comunicación constante con los padres para que sepan si sus hijos han logrado positivos en clase o han obtenido un negativo cada día. Es decir, envió a sus emails o si tienen la aplicaicón instyalada en el smartphone, un completo reporte de su hijo en tiempo real. - Si un día se va la conexión en el centro te quedas sin plataforma. - Si un día falla el proyector del aula, te quedas sin plataforma. - Aunque se trata de evitar la competitividad, es importante trabajar recordarlo a los chicos constantemente, aquellos cuyo personajes van perdiendo ventaja con respecto a otros, puede desanimarles. - En los ciclos de alumnos con menores edades funcionma muy bien, para los más mayores en ocasiones puede resultarle para algunos un poco infatil. Puedes entrar mañana al aula sorprendiendo y captando interés de tus estudiantes con esta herramienta gratuita. Te ahorraras llamadas de padres preguntando por sus hijos pues podrás enviar informes de los logros conseguidos por sus hijos en tiempo real así como de sus faltas de asistencia. He dicho ya que es gratis.? Ha mejorado el comporrtamiento de los alumnos en el aula. Ha mejorado la comunicación con los padres, ellos están muy contentos, tanto alumnos como padres con esta aplicacicón. No tiene ningún tipo de coste, con lo cuál no hay que realizar ninguna inversión económica y no hay excusa para no implantarla en clase. It has every tool I need in the classroom! The app is glitchy at times, it has difficulties in transfering from ipad to my laptop. Experiment with it before implementing it into your classroom, make sure that your students take part in deciding what they should be earning points for and losing points for to build a class community! ClassDojo was exactly what I needed as a first year teacher. It allowed me to establish a consistent behavior system that used rewards and consequences, provided incentive for my students to reach success in a subtle way, provided mini lessons in life skills, gave me useful tools to use in creating groups, providing directions, giving a greeting message, working music, the list goes on and on. Most importantly, however, ClassDojo was the absolutely perfect tool in keeping parents aware of what was going on in the classroom. Parents in my room used this to message me, monitor their student's behavior, and even to see work that we were doing in the classroom so that they could have extra assistance at home with homework! It truly was an all in one tool that I will happily continue to use in future years. "Class Dojo for Management and Communication"
Class Dojo allows you to set up an individual class. You can reward students with points for good behavior and take points away for poor behavior. There are set behaviors and point values, and you can edit and add your own. It also has a system that you can set up to message paremts individually or as a group. Parents must sign up, and not everyone does. Not everyone likes online communication. It can be subjective, so I always try to keep a device near me so that I can assign points consistently. Some students like being able to login and track, but other students do not. Students are always asking about their points because they like to see what they are doing. Parents like communication, so this is a nice way for me to send out a message and let parents know what is going on in the classroom. They like the consistent updates and communication . 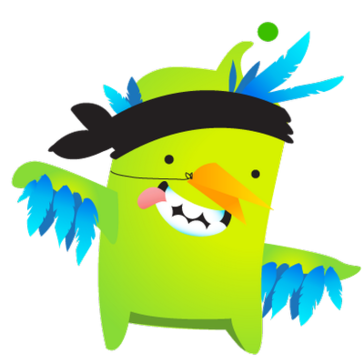 "Class dojo - great classroom tool"
What I enjoy most with class dojo as a parent and as a teacher is the user friendly platform. It gives me the opportunity to send a message out to parents, display how the student is showing responsibility in school and most importantly the students LOVE it. It makes sounds for a job well done motivating them to make better choices. Lastly, you can share your class with other teachers who also share time with the students. Class dojo although you can share. Message and see who read it, it does not allow the parent to reply all. When setting up a list of items needed to donate to the class this would be a great option to have. The avatars also always look happy even if the student is in red or negative points. I wish the facial expressions would change along with the students points earned. It is a great classroom management tool. Classroom management and classroom communication with parents. I love that you can track behaviors, good and bad, on Class Dojo. It allows you to assign points to behaviors: for instance, if you want to focus on a specific behavior like being kind to others, you can make it worth 3 points instead of 1. We had a teacher leave last year who sent out a message to her entire parents list who communicated in an unprofessional manner. There is no oversight available since the individual accounts are created by the user. It's a great tool. It allows you to remember all the behaviors of a student, not just the bad ones. Behavior tracking, behavior management, the ability to message all parents at once or individually, posting pictures of students that only parents of the class can see. "Closing the communication gap between school and home." I have two accounts for this app one I have is a parent and I use it to keep track of my son's behaviors at school I also use it to communicate with the teacher and to see how his academics are going. The part I dislike is that they have limited options for avatar choices that each student can pick as their picture. I wish that we could upload pictures for each student to have more of a buy-in to program. I use it for classroom management and parents teacher communication. I love the fact I can connect with parents throughout the day right from my classroom without giving out my personal cell #. I am able to send messages out and post class stories only parents in my class see. 1 Sometimes the program will not allow me to post more than three pictures. 2 posted documents don’t show up in the feed they have to be opened for parents to see them. If they don’t have that program it could cause issues. 3 it needs doesn’t have a special notification tone. It would be nice that way if a parent gets in touch you know it class dojo and not something else. It is a wonderful tool for your classroom. I have unlimited connection with my classroom parents via class story and private messages. I have set up messages to go out at a scheduled time so parents remember conference times. Parents are able to see what is happening in their child classroom when there is a post. "ClassDojo is an amazing tool for teachers!" You can use as little or as much of ClassDojo as you would like! In a PreK setting we use the class story, student stories, and messaging the most but there are tons of other aspects that would be super cool for elementary and up classrooms! They are constantly tweaking to make things better and are amazing at listening to your suggestions! An amazing asset to any classroom! You cant search through past posts on the stories, so if you're looking for a certain picture or post, you gotta scroll for DAYS. BUT I have a feeling a search feature will be added soon. Seamless communication between school admin, teachers, and parents! "I can see my kids' behavior each day." The best part of ClassDojo is that it simplifies my communication with my children's teachers. I can see key behaviors each day, notice changes and track progress. It's easy for her to share class announcements and photos of activities without the time involvement of an individual website. There's separate information for each child / teacher who uses the app, but it's all accessible to me through my one log-in. I don't like that I have to scroll day by day to look at the big picture. It'd be nice to have a calendar / month view to look back. I'm not a fan of making a fuss over the characters children can choose and personalize, but I realize that feature can be appealing for children who log in themselves. I especially don't like the new "family" feature, where parents can assign or deduct points for things at home. I don't see it being practical. The biggest benefit is the instant communication with my kids' teachers. My kids are pretty well behaved, but this way I know daily what they did that was great as well as anything where they had problems. I can keep reinforcing and rewarding positive behavior and help them correct negative behavior without waiting for more sporadic progress reports or teacher conferences. The best thing about classdojo is that it encourages students to participate and behave in the class. It also makes the classroom environment more competitive when points are awarded in different activities. The fact that the teachers can upload photos of the children makes it all the better. It allows parents to see how their children are doing at school. The fact that there are very basic criteria such as on task, off task, etc. If there were a more variety of points, it'd be easier for the teachers to award points and more fun for the students because there'd be a wider variety of ways in which they can improve. These points could probably be more skill based where there would be no negative marking system. The negative marking system may be discouraging for a few students and after a point in time, they may just give up on trying to get positives. This attitude would eventually spread across the classroom, and the class would go back to its original self. All in all, it is a great platform for students and makes the classroom more interactive rather than the blend chalk and talk way of teaching. Children are encouraged to take more and get rid of the timidness. As a part of a very troublesome class, classdojo helped tame the class. Students tend to participate more when given a reward. This means that there is high participation with high discipline. This makes the class more interactive. Even in quizzes, when points are promised, the students put in their 110%. "The BEST for behavior management!" Connects teachers, parents and students to improve student behavior and build character strengths. Allows parents to immediately see how his/her child’s day is going. I also love the private messaging- it’s like texting a parent without having to give them your phone number. I’d like the program to be able to deduct points when students earn a certain amount to use as “reward points” for prizes and such. Currently I just subtract them myself on paper but it’d be nice if the program could do it for you! Class Dojo seems to improve each year. They now have an option to take and send pictures from your phone or device and send them immediately. Parents love seeing their children at school. If you want to connect with parents on a more positive level, I’d definitely recommend using class dojo. The students love working for points and parents respond well to all the positive communication! Students love getting points, changing their “dojo avatars” and getting positive reinforcement through the use of this program. The feature that I like best is the ability to communicate with parents. In the school that I work in many parents have their phones shut off month after month but they still have the ability to connect to wifi. When I call them to speak about their students there are many parents that do not answer. I am able to message them on dojo and they quickly respond. I do not like that I do not have the option to set up multiple classes within one teacher login. I teach 2 round of mathematics and I would like to display only the students in their class group. ClassDojo is a combination of so many other tools that I use to use. ClassDojos allows me to communicate with parents. It allows me to monitor students behaviors. It collects the data of the students behaviors for me. It allows me to place timers on the board. It will randomize groups for me. As a school we have been able to share students and award points to students doing well. My principal and I have discussed School-Wide Positive Behavior Plans and ClassDojo would allow us to do this. Classdojo is a great classroom management tool for elementary students. It's fun for kids because they can pick their own little avatar and see their points add up. The parents can connect to it as well and see their child's progress. I have had a few issues with Classdojo. When I got married and changed my name, and then later moved to a different school, I had to contact their customer support to get this updated on my class dojo. I couldn't connect to a different school with my account or change my email address. The customer support was prompt but I would like to have done that myself. This is a great tool for elementary. I don't think that middle schoolers or high schoolers would buy into this. In education, this tool is great for specials teachers to reward students for great behavior in their classes as well. Students that are doing a great job in music can get dojo points and it contributes to an overall school community. "My students and I both love ClassDojo!" At first, I thought ClassDojo would be too "kiddish" for my seventh graders, but I was proven incorrect. They absolutely love it. It takes classroom management and puts it in the hands of the kids by giving them a wide range of options such as designing their own avatar, keeping track of their points, and being able to monitor not only their individual behaviors and actions but their peers' as well. I also love that parents can access how their children are doing, and I love the new newsletter/story feature (haven't used yet, but am planning on it). To be honest, I don't dislike anything. I think everything is very straightforward on ClassDojo, and it makes the information easily accessible and understandable to parents, students, and teachers alike. If you're having some issues with classroom management or just want to create a positive learning environment with the help of "friendly competition," this platform is a great way to do that. I thought it would be too "kiddish" for my seventh graders, but from what I can see from my own experience and my colleagues' experiences is that middle schoolers love this! They like keeping track of their progress, especially in comparison to their classmates. It is important to have incentives (e.g., if you reach x-amount of points by the end of the week, then you get y). It is also helpful to have parents be a part of the process so that there is more buy-in all around. I started using this to manage classroom behavior with one section of students a couple years ago. Nothing was working with them, but this helped a lot. They were more invested into having a positive learning community because of this platform. I really like that the app allows me to communicate with students and parents from one location. I also like the functionality that allows me to divide my students into groups randomly. Also, the app is rather easy to use for all key users - teachers, parents, and students. Often times, parents hear one thing from students and another thing from the teachers. With this consistent messaging functionality, the parents & students are receiving the same message and there's no "lost in translation". It seems like just one more app from where the students will receive notifications. They already get emails & Google Classroom announcements - they prefer to get all their info from one source. Similarly, it's another app that the students & parents have to download. I hear complaints already that students and parents alike already have to use a multitude of apps to stay in touch with their teacher & class. I f Class Dojo were to increase visibility and work to incorporate functionality from other commonly used education apps such as Google Classroom, teachers will be more likely to use this program exclusively to communicate to their parents & students instead of using multiple sources. Check with parents before adding them to the app .... many don't appreciate unsolicited emails. This gives me a chance to quickly communicate with parents & students. Often, the students share a different story with the parents about what's going on in class . This way, everyone gets the same message. ClassDojo is easy to use and it provides a forum for sharing important information, reminders, behavior data and pictures in an accessible way. The program looks and runs similar to Facebook, but is completely private; only parents and colleagues that you have granted access can see the information being posted. To make it even more convenient, ClassDojo has an app for smartphones. It can take some time figuring out how to make the points system work for you, but that comes with any new program being implemented. There aren't too many negative aspects to this program, unless parents do not have access to a computer or smartphone. Just jump in and use it! It's very user-friendly and simple to figure out. Parents appreciate the ease of communication it provides, too! Parents feel more closely connected to the classroom, even if they cannot be at the school very often. They are able to see information and photos of class events on their computers or phones. Behavior data can also be communicated and tracked in real-time. I like the lesson plans that are already put together within ClassDojo. It is so accessible and so easy to search for material that relates to specific concerns or activities for children and allows for maximum presentation with very little preparation necessary before delivery mental health services. Sometimes the connection quality and load time for the videos is unreliable, and if I am planning on using a video for a lesson and I only have 30 minutes to meet with the kids then it is hard to rely on something that may take too long to load or run properly. I have been using ClassDojo with small groups and individual students during counseling to help educate them on functions of the brain and how that relates to learning and emotions and regulating our emotions. I have noticed that the children love watching the videos instead of always having me talk at them, so there have been added benefits of enjoyment and seemingly increased engagement. I have not really found anything I dislike about ClassDojo. It is visually pleasing and TOO EASY to work with! USE THIS PROGRAM! You will love it...your students will love it! It is fun and gives IMMEDIATE feedback to students and families! You can customize so many things on it! Truly a fun way to track students and communicate to parents and children themselves! We have become way more efficient as a team getting communication across with families about how their student is performing daily. Having ClassDojo has cut time out of our day having to keep up with paperwork and tracking of students. We have become more efficient with this tool! "Fun classroom management for kids"
What I like best about class dojo is that you can use it to manage your classroom. Some things I love are creating your own task for earning and for docking off points; I love that it creates a monster file for each of my students; others things like using the timer, taking attendance, earning team and class points and messaging. In addition, you can now communicate with parents through class dojo. There isn’t anything that I dislike about class dojo at this time. I have been a user for a few years now and greatly appreciate that they have made great improvements such as adding videos, parent connect, accessibility on any device, and etc. Yes, I would highly recommend class dojo to others. Parents can even use it at home as a reward system too and not only in the classroom. I use class dojo as a behavior management system. It is used for positive reinforcements and rewards. The benefits I have realized with using this system is that my students loves it. It gives them an opportunity to earn individual, team and whole points. It helped turned those negative behaviors into positives or it helps in reminding students to use appropriate behavior. For example, a student who has a difficult time raising hand do respond, class dojo has helped me fix it by letting them earn a point when raise hand or even dock a point when not raising hand. It works with talking out of then too. Also, parents are able to check their child’s school day and see the reasons for earned or docked points. What I love best is also using the think pair share tool. I used this tool to build a better school climate with my students by posting up question or activity and having them think pair and share with each other and then do a share aloud. This helped in building closer relationship ebteeen evident sand teachers. So many great features. Free app for parents and teachers alike. Students can earn points based on criteria set by teacher or class. They can also lose points for various things. Other teachers and administrators can have access to student points and progress. Parents can see pictures, student stories, private messages, and student behavior reports. Privacy can be set by teacher. There are few things I dislike about this program. One little thing I would like to be added is for the teacher to be able to control student avatars. Also it would be nice to set a theme or something to the main screen to personalize the screen more for each teacher and classroom. Figure out something to do with points students earn either as a class or individually. I personally have combined Dojo with a minor classroom economy to teach money management skills as well as reward and incentivize for behaviors. Watch your privacy settings and what you allow parents to comment on. Student stories is a great resource if you have a way of managing what students can and cannot put on there. Great for communication with parents! From behavior to what we are doing in class that day to weekly announcements, the ease of communication is wonderful! It also holds students accountable. "Great classroom management and communication tool"
The ease of use and intuitive design, plus the ability to quickly communicate and share media content between teachers, students, and parents is a breeze. When using ClassDojo, it looks and feels like a social media platform - so it is feels familiar to most people who use it. The mobile and web versions integrate seamlessly, and the formatting between the two is very similar, which makes it easy to move between the two formats without getting disorientated at all. I wish that there was a way to students/parents to create interact and create groups with each other. It works. The ease of use of ClassDojo is a major benefit - especially in dealing with students and parents who have a wide range of technical abilities. Communication with students/parents to ensure that important information is shared. "The Absolute BEST Classroom Program"
I will NEVER go through another school year without Class Dojo. There are SO many things I like about it - not even considering the classroom management assistance it was originally designed for. In fact, the part I like the best is the immediate and interconnection I have with my students' parents/guardians. With a quick text I can inform all of my parents of an event, assignment or test. Parents can text me back with questions, and I can set the hours in which I will respond. I love the Class Story Feature - sharing pictures and videos of what is happening in class with all the parents. I wish that you didn't have to download the APP on your phone (as a parent) because many are limited on space. It would be nice to have a website-based availability in case they can't download. USE IT! This is hands down one of the best tools I've ever used in my classroom. I will not do another year without Class Dojo. This is the MAIN way I communicate with families. I can send private messages, pictures, questions, lists, signups, conference reminders, etc. all with the push of a button. Parents can message me back immediately, ask me questions, share news and reminders, etc. It really creates that open communication channel that meets the needs of my families now. I love that I could communicate with parents of students so easily without using my phone or even my email. I like that we can write in whatever language we please, and the one receiving the message can press the translate button to translate it to what he or she is comfortable understanding. This helped me out so much in the classroom with parent communication. I don’t know! I can’t think of anything I would improve about it. Encourage every parent to sign up and then use it for classroom management if that would work for your classroom! I like that each student can be individually awarded points based on behavior rewards (points can also be taken away for negative behaviors). I like that there are different reasoning options to chose from on why they are earning extra points. I don't dislike much about the product. I wish there were a way to simultaneously give points to multiple students (in groups) without having to click on each one individually sometimes. I highly recommend for any classroom management issues. I also like that the information can be shared with parents right through the site as well! ClassDojo works great to keep students accountable. You can have all of their names up on a projector and it allows each student to be in charge of their own score. I have realized that it keeps students wanting to have good behavior to be rewarded and diminishes negative behaviors because they want to keep accruing points. You can manage your students easily with great interface using class Dojo. Students and parents can check progress by signing in from home. It is very interactive. There are a lot of features that you can utilize like tracking assignments and instant messaging. I would like to take more advantage of these added features so that my class can have even better management. It can be hard to manage the software while using the computer for other things like power points. This can be fixed by using Class Dojo on a smart phone or tablet instead of the main computer but then kids cannot see their points accumulate. I think that there is a feature that makes this easier but I have not tried it out yet. I would liek to get more involved in the additional features to manage my classroom and find a way to have parents be more involved int he produect.
" Class Dojo is Amazing!" I'm a school administrator and this year my school rolled out using Class Dojo in place of a previous behavior tracking color system chart for students. Students would previously start on "green" and the move up if they behaved or did something good in class, or moved down if they did not follow directions, etc. At the end of each day, the teacher would simply reset the clips on the color chart and that was that. There was really no way for the teacher to know how student behavior was changing throughout the day, let alone across the week, a month, etc. Class Dojo does exactly that- it tracks behavior of individual students for any period of time you choose. Unless you project the Dojo page on the board for students to see, it can be hard for students to really understand how many points they received for positive and negative behaviors throughout the day. Most teachers also have to put the media volume up on their cell phone or laptops in order for students to hear the positive ding or the negative uh oh sounds. This also means that the teacher has to be glued to their laptop or phone to keep track of these student behaviors, which can become distracting. My school also runs a weekly report for behavior, as well as a monthly report. When students reach a specified goal at the end of the month, we celebrate with some fun activity. Dojo also allows my staff to reach out directly to parents from the app on their phone or the website on their computer during class, right there on the spot. Parents can message the teacher, receive class updates about homework, school events, or can view photos of their child working in the classroom. It allows the teacher a great deal of flexibility even with the most basic features of the program. There are lots of other advantages, such as character building videos, capabilities to allow student names to be randomly generated to help with equity with calling on students, etc. This application is great for classroom management. Each student is given a character and points are assigned by the teacher. Parents are also able to log in and see how their student is doing in class. There is also an option to send messages to parents, which is convenient. The application uses a lot of memory on my phone. I find that it is easier to use on my laptop. The company also sends out a lot of notifications and emails which can be annoying. There is an option to turn off push notifications. Do not install it on your phone, instead keep it in your work laptop/tablet. As stated before, this application is used in the classroom with students. It can also be used to make parent contact and send messages which is helpful. Students are also very engaged with this app. They like looking at and picking new monsters. "Great for teachers, students, and parents!" As a Administrator, I enjoy getting to be part of each of my staff's classrooms, and can monitor student behavior, teacher to parent communication, and read class story updates. There isn't much as of yet that we have found to dislike, but we are still exploring all the functionalities of the product. I really like that my school has fully adopted Class Dojo this year as a replacement to the "color system" in the classrooms to track behavior. Not only does it help teachers monitor and track student behavior, it also gives a quick and easy platform for teachers to communicate back and forth to parents. "Great app for management and education!" I love this app. I can use it to communicate with parents and keep them today in what is going on in the classroom. I also use it for classroom management. There kids earn points that they can spend on treats and rewards. The kids can not choose their own icons. It's also hard to use on the phone in the building if you don't get good reception. It's a really effective tool for education. It's also free to use! "Positive Reinforcement and Communication: ClassDojo Does It All!" Parents are able to reach me directly at any time of day. I am also able to post photos of classroom activities for parents, maintaining privacy but involving them in our classroom events. Students struggle to log in occasionally. The application connects student and parent accounts, but students can't log in without parent confirmation. Encourage parent participation from the start. The app is really at its best when parents see the posts and send messages from the beginning. Parents, other teachers, and administrators are able to monitor the behavior and growth of students. I can create portfolios for student activities and award points for any positive behavior, allowing all students to shine. "Classroom management at its finest!" I love that I can communicate with parents, manage behaviors, and upload work for parents to see all at my fingertips! My favorite part is the Teacher Toolbox that I can use the random generator, music, timer, and more! I also enjoy the Mojo series that teaches empathy, mindset, and many other valuable character traits. There is nothing that I dislike about this program. This is the best tool for classroom management, parent communication, and electronic portfolios. Parent communication via the app allows parents to know how their students are doing at anytime. For example, if a student did not turn in his or her homework for the day, as a teacher, I would give the student a negative point for no homework. The parent would immediately be able to see that the negative point was assigned for no homework. Also, using class dojo for classroom mangement was very powerful. There is sound aligned with negative or positive points. So, when students heard positive points being awarded, I could see more and more students engaging with the task. This was the same if students heard negative points being distributed. I disliked nothing at all. ClassDojo is amazing! Definitely fully engage with the product and use it as your primary classroom management tool. Classroom management improved not only in my classroom, but in all classrooms who used in in the school building. I like that I was able to communicate with my children's parents in a simple, quick and effective manner. It was great to be able to update them in real time with pictures and text and be able to answer their questions. It was also nice because if a child wasn't going to be in that day or was running late the parent could easily text me instead of having to call the center. It is a great tool that to be able to use to communicate with parents but not have to give out your private information nor the center having to buy a separate device to use. I was able to easily download the app and go from there. It was hard to learn how to navigate it in the beginning. And then to explain it to parents on how to use. That was probably the most frustrating part. I had trouble finding parents and connecting them to our site. Sometimes I wouldn't get a notification that I had a message and it was time sensitive so that was frustrating. While I like being able to use the app and not have to buy a separate device, it is a little wary to be able to have my teachers use their cell phones to control the app. I do not like them having their phones out because they are working but with the app it is hard to catch them doing something they are not suppose to because they will just say they were using the app. I would highly recommend using ClassDojo it is such a great tool to use, especially with preschool age and below. The parents have their minds put to rest because they can always check in with the teacher and their child in real time and get picture updates to see what is happening. I would say anyone that is thinking about it should just test it out, doesn't hurt to try it and see for yourself the amazing things that it can do. An easier way to effectively communicate with out parents. And give them more current updates and answer questions in real time. It helped the parents feel at ease leaving them in our care, knowing that they could text us or receive a a photo from us throughout the day. It is cost friendly because we did not have to buy a separate device for all of our teachers to use, they could just download the app and be on their way. It also helps keep the professional boundary because neither party had to give out private information to be able to communicate on our devices. "A great tool for the classroom"
Easy to use in real time while teaching in the classroom. It offers immediate reinforcement of values/qualities that are being focussed on and is flexible so as to be changed and adjusted as necessary. I found that it was a great way to incorporate what was learned during character development lessons. All students, parents and teachers can work together using ClassDojo to guide student progress in the classroom while they are actually learning every day. This product must be thoroughly explored and explained among parents and students to remain a positive tool. Give it a try, you will not waste your time. If you are looking for an effective, in-class, real-time solution for behaviour management, you will find ClassDojo fun and easy to implement. Communication. Dojo is a useful platform for giving feedback and receiving feedback from parents. I like the ability to quickly communicate student behavior with parents as well as share information on the fly. I appreciate being able to share photos of events like field trips that parents would not otherwise be able to see. I dislike that I cans subtract specific amounts of points if students want to “spend “ them for rewards. I wish it were more like a bank account type setup. This is good for elementary teachers; I tried it with sixth grade several years ago but they didn’t buy in. My fourth graders love it and so do their parents. I am cutting down on the Time it takes to communicate with each parent regularly. I can share much more information in much less time. "ClassDojo - An Excellent Classroom Management Tool"
ClassDojo is an excellent classroom management tool that is visually appealing and easy to follow for students and teachers. Students can easily earn and lose points throughout the day, and their daily total can be shared with parents at home. Students get to pick their own monster icon as well, which makes them feel more invested in and excited about the program. Some teachers do not like to use the negative points and find it most valuable if students can only earn points, but never lose them, but the option is still nice to have. Honestly, there is nothing I dislike about ClassDojo. I highly recommend that all teachers try ClassDojo if they are interested in a new and kid-friendly classroom management solution. ClassDojo can be utilized school wide, meaning that when a student goes to a different teacher for art or music or special classes, they are still able to pull up their ClassDojo points, which builds school community and teacher collaboration. It is so user friendly, my parents love being able to see what their children are doing while at school. My kids love to earn Dojo points, it's a great incentive for good behavior! Sometimes my notifications are delayed, not usually a big a deal because I check frequently, but when I need to see a message from a parent I prefer to know right away. Class Dojo has made parent/teacher communication a breeze! I wish there was an easier way to give the majority of the students points at the same time in another way. I don't like having to click on each individual student. It is a great tool to keep track of student behavior in the classroom as well communication with parents. This product is fantastic at providing a fast, non-distracting tool for tracking student behavior that teachers can use without disrupting the flow of learning in the classroom. It also is a great tool for facilitating and track random calling on students. I would love to see a method for arranging the students by a seating chart. If that were added I would also like to see a way of integrating the tracked behaviors and other data such as girl/boy as a factor in creating balanced groups and seating. Finally I would love to see the integration of a badge or achievement system for the students. Something where the Teacher sets behavioral goals and then students can work to achieve them. This could lead to real-world rewards in the classroom for badge achievement, etc. I recommend it because it empowers Teachers to reinforce positive behaviors in the classroom, while providing them actionable data that can be shared with admin and parents. Best of all it is free. "Useful for teacher parents and students"
The parents can see throughout the day how their child is doing in school along with contact the teacher if there is a need to. When you share a picture or video or when the teacher shares to the parents you can not save the picture or video. This keeps the parents involved in the schooldays of their kids and helps the kids see how they are doing if they need to adjust their behaviors. My students love earning points to redeem for prizes. They also love the videos that come with it. It’s also a great way to message parents I thought giving out my number! I wish I could take off more than 5 points at one time. That’s how I “cash out” their points. Students will behave better when they see my iPad in my hand. * We monitor all ClassDojo reviews to prevent fraudulent reviews and keep review quality high. We do not post reviews by company employees or direct competitors. Validated reviews require the user to submit a screenshot of the product containing their user ID, in order to verify a user is an actual user of the product. Hi there! Are you looking to implement a solution like ClassDojo?